Hockey Canada has announced its selection camp rosters for the 2018 World Junior A Challenge (WJAC) and 19 BCHL players have made the list of 44 for Team Canada West tryouts which will take place in Calgary, Alta. from December 3 to 5. Canada West’s invitees come from the BCHL, AJHL, SJHL, MJHL and SIJHL. 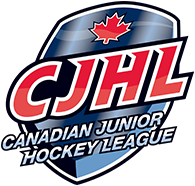 The WJAC is an international tournament designed to showcase Canadian Junior Hockey League (CJHL) talent as well as other players from around the world. The playing field includes Canada West and Canada East as well as the Czech Republic, Russia and the United States. Hockey Canada and the CJHL, with assistance from NHL Central Scouting, identified a list of 84 players – 40 of which will tryout of for Team Canada East – from across the country who have earned invites to selection camps. Canada East’s invitees come from the NOJHL, OJHL, CCHL, LHJQ and MHL. Team Canada West are the defending gold medallists after they defeated the U.S. 5-1 in the championship game last year. In addition to the BCHL players invited to camp, returning as an assistant coach for Team Canada West this year is Merritt Centennials head coach Joe Martin who will work alongside head coach Rick Swan of the AJHL’s Bonnyville Pontiacs. 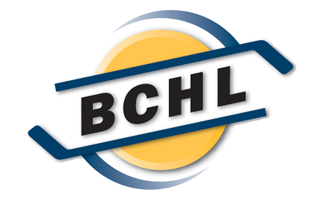 Other BCHL representatives that will work for Canada West are guest coach Matt Hughes (Alberni Valley Bulldogs), athletic therapist Brayden Tonogai (Langley Rivermen) and equipment manager Brendon Kerr (Penticton Vees). This year’s World Junior A Challenge goes from Dec. 9-16 in Bonnyville, Alta. Since the event’s inception in 2006, more than 250 NHL draft picks have played in the tournament, including 40 first-round selections (Beau Bennett, Jacob Bernard-Docker, Brock Boeser, Alexander Burmistrov, Dennis Cholowski, Joe Colborne, Kyle Connor, Grigori Denisenko, Nikolaj Ehlers, Dante Fabbro, Nikita Filatov, Mikhail Grigorenko, Denis Guryanov, Tyson Jost, Dmitri Kulikov, Evgeny Kuznetsov, Elias Lindholm, Hampus Lindholm, Cale Makar, John Moore, Vladislav Namestnikov, Riley Nash, Valeri Nichushkin, Dylan Olsen, David Pastrnak, German Rubtsov, Ilya Samsonov, Jordan Schmaltz, Nick Schmaltz, Jaden Schwartz, Brendan Smith, Andrei Svechnikov, Evgeny Svechnikov, Vladimir Tarasenko, Kyle Turris, Alexander Wennberg, Andrei Vasilevski, Jakub Vrana, Nail Yakupov and Jakub Zboril).